What would be worth for you if you could learn how to write better books, write better articles, be a better writer? Our episode is all about that and a whole lot more. Our expert has published over 60 works. He’s worked with legends like Tom Hopkins, who’s known as one of the top, if not the top, sales trainer in the world for the last several decades. He’s also written fiction work, non-fiction work, contributed, ghostwritten, and a whole lot more. His work is fascinating. We’re going to get into some of the research he’s done on paranormal work. Have you ever seen the movie, Ghost, with Patrick Swayze and Demi Moore? You see them sitting there at the clay mold and the feeling comes through her in that moment or the other area where they’re sitting around and people that have passed are talking to their loved ones? There’s some fascinating research that Dan has done on this and we’re going to dive deep into that too. Dan, welcome to the show. How are you? I’m doing fine. Proud to be here. I’m glad to have you. You’ve got such a diverse body of work for several decades. I’m curious as to why are you doing what you’re doing today? It’s the only thing I can do. I can write or I can stand on the street corner and wash windows and hold out my palm for $0.25. It’s about the only thing I’m qualified to do really. You told me a fascinating story of how you got into this and it’s awesome. Why don’t you share it with our audience on how you got started writing years ago? It was a lucky break. I was doing some work for the Tom Hopkins Organization and I was doing advertising at the town, copywriting. I had written a brochure for them. I was speaking to the young woman who was in-charge and she said, “We like working with you. Tom is about to write another book. Would you like to be the ghostwriter for it?” I said, “I’ve never written a book before but that sounds interesting. It sounds like a lot of fun.” A few months later, Tom Hopkins’ Sales Prospecting For Dummies came out. Tom was kind enough. I’m credited as the writer in the book. He was kind enough to say that Dan is the guy that pulled together my crazy ideas and made it work. I lucked into a career from that point on. People would come to the Hopkins Organization and say, “Would Tom write our book?” They would say, “No, Tom does his own books, but the guy that writes our books is Dan Baldwin,” and they will give him or her my name. One thing led to another, and referral by referral, I’ve built up quite a collection of books. Since the time, you’ve contributed and published somewhere in the range of about 60 different books. If you had to pick out of all 60, what’s been the most fascinating to you and why? I’d have to say two. 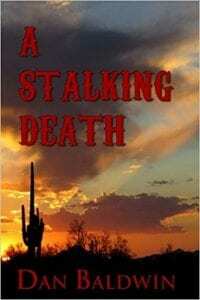 One would be the novel A Stalking Death, which is an award-winning Western I wrote. The other is Speaking with Spirits of the Old Southwest, which is a non-fiction work about the paranormal. The difference is in writing A Stalking Death and some other novels, I use a technique called writing into the dark, which is I start with a blank page, no plot, no characters, no idea of where I’m going. I just start writing and I develop the plot and the characters as the story develops. It’s a fascinating way to write and it’s always interesting. I imagine it probably just the story unfolds, the characters unfold, and such. You brought up the fact that you had a lucky break. You were a copywriter. What role do you think copywriting has played in your ability to write compelling books, articles, etc.? You’ve had quite a journey, Dan. What’s been your lowest point or biggest mistake or biggest downfall on this journey? What did you learn from it as a result? What can our audience learn from it? When our audio wouldn’t work, that was the worst. I learned from that, that things eventually work out. Things get handled. Everything happens for a reason. Things always seem to work out. Dan, you shared with us the idea that copywriting help build that discipline. 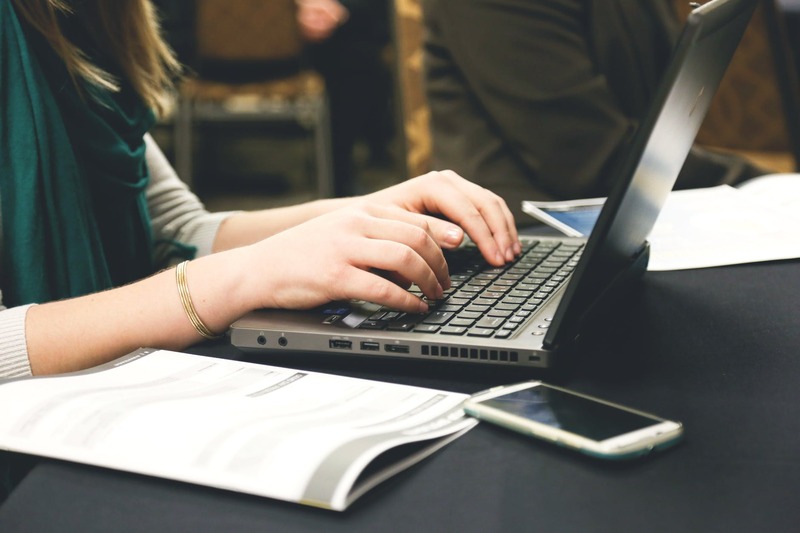 What are a couple go-to strategies you’ve learned over these many decades of writing that if you were starting brand new, the advice you’d give to yourself of being a compelling writer, being a compelling storyteller? What would a couple of those simple strategies be for our audience? The most important strategy is to sit down and write every day. That’s the most important thing. If you’re writing non-fiction, the way I write is called writing into the dark. I sit down with a blank page, no concept of character, plot or whatever, and I start writing. That is a lot of fun and it helps with the reader because as they say, “No surprise for the writer, no surprise for the reader.” That way working a whole novel, it’s a surprise every day. Working with a business book, that’s a different process. You have to outline where you’re going because you’re building a case. You have to do step one, two, three, four, five and so on. What you do depends on what you’re writing. I love that framework. You’re building a case. A lot of our audience are business owners and entrepreneurs. Whether it’s writing or doing video or doing audio or interviews, it’s about building the case. Where do you see the crossover of storytelling, taking fiction storytelling and bringing it into a business book, and how that plays into your process and what our audience can learn from that? I do a lot of fiction techniques in writing my business books. I have 50 books with somebody else’s name on the cover. The first one, Sales Prospecting For Dummies, and others, we use a lot of case examples and a lot of the examples of how a sales approach would work or how something would work and that’s pure fiction. You’re creating a scene of sometimes how to do it wrong and then you create a scene on how to do it right. That’s dialogue and description and that’s pure fiction. It works in very nicely with a non-fiction book. Many times, the dialogue will be a mess for amateur writers. Talk about the process for that. I don’t know that I’ve heard many people talk about how to write dialogue. It’s very challenging. The trick is it has to sound like people talk, but you can’t write like people talk. If you and I had a conversation, it would last half an hour. In writing that in a book, you may need to cover only a page or page and a half, which is probably a minute to a minute and a half. It still has to sound natural. You have to work in every word, every phrase, every scene, it has to say something important. You have to watch out with the uhs and the ahs and pauses. The trick is it’s got to sound natural. You have to work in every word, every phrase, every scene. It has to say something important. Do you record somebody talking and then take a transcript and then you start playing with that? What is your process to do that? Knowing what you know now, many decades into this looking back, what would be a couple ways that you would probably go about it differently now than when you were in your twenties? When I was in my twenties, I would just write it and hand it in. What I would do now is I would write it and then I would read it out loud because that makes all the difference in the world. Once you read your copy or your dialogue or your skit or whatever you’re writing out loud, you will change it because you got, “I can’t believe I did that.” Nobody talks like that. One of the problems people get into is they try to sound too educated and you’ve got to be really careful about that because you’ve got to speak to your audience. The copywriter or the writer should not try to show off his intelligence. You look at our past presidents, the last five, six, seven presidents. They’ve done studies that demonstrate that the ones who’ve won, it seemed that their language was more for like fifth, sixth grade level. It’s how people generally talk in a very simplistic way. Talk about that framework of writing simplistic. Is it sentence structure? Is it short? Is it long? Is it long word, short word? What are a couple of those frames that come so effortless and naturally? It’s your genius, but I’m trying to deconstruct this for someone who is maybe struggling right now with being a good writer or copywriter and wants to connect, but they’re not hitting the mark. One thing to remember, most business books, and I mean most in terms of across the board, are written at an eighth-grade level. If you go to a publisher, they will have you write at an eighth-grade level. The reason is simple because everybody in America has at least an eighth-grade education. If you write at an eighth-grade level, it’s very easy to understand. Where writers get into trouble is where they try to show off. The idea is to communicate. You want to communicate your case in as few words as possible. If the writer tries to call attention to the writer, you’re doing your client a disservice. You’re doing the reader a disservice. Ideally, the writers should be invisible. In this case, Dan, it seems that less really is more. When you’re writing, do you free flow ideas and then you start chiseling it down? There’s this old copywriting adage, if I had more time I would’ve written a shorter letter. Speak to that a little bit, a good process you’ve found either yourself or working with other writers that has seemed to work for you. If I’m working, if I’m ghostwriting a project or writing a business book, I’ve got an outline that I’m following. That follows pretty naturally. It’s pretty easy to go, “A plus B equals C,” all the way across the board. If I’m writing a novel or short story, I sit down and see where it takes me. I’ll create a character and a scene and a problem and see where that character takes me. I’m curious, you’ve had this journey. You’ve decades writing 60 works, tons of ghostwriting. You seem to have a spirit that you love what you do. What is one of the biggest downfalls that you’ve experienced in your writing journey, whether it’s been a business partnership, or something of that nature that might’ve been like a business tragedy that you had to overcome? What’d you learn from it that our everyone could learn from it too? I was co-authoring and we sent the book off to an agent and then my co-author signed a contract with the agent and all of a sudden, my co-author decided that he had written a book rather than me. I got the letter from the attorney and all that, making a number of clearly false statements about the work and about me personally. It took me a year to straighten that mess out. The book was originally about a group called FindMe, a psychic detecting group that I belong to, and the book was called Find Me to the case book by Dan Baldwin and Kelly Snyder. It evolved after a year of hashing things out back and forth. It ended up as this book, which is, They Are Not Yet Lost by Dan Baldwin. What I’m leading to is I had to go through so much trouble to get to that point where I could put my work out there, that I wrote another book. This is a non-fiction book, How Find Me Lost Me. The CEO and the officers and board of directors made a number of statements through their attorney that were blatantly false. I had no idea how far out those things have went, which could affect my credibility ten years down the road. That’s why I wrote the book. I took their statements and then I took all the documentation that disproves their statements and I put that in a book and that is a good tip for writers. If you’re writing a book with someone else, contact your lawyer and draw up a contract. If I had done that or if we had done that, all year long trouble that I went through, the hassles that I went through, which turned out to my benefit eventually, I still wouldn’t have had to go through all that mess. 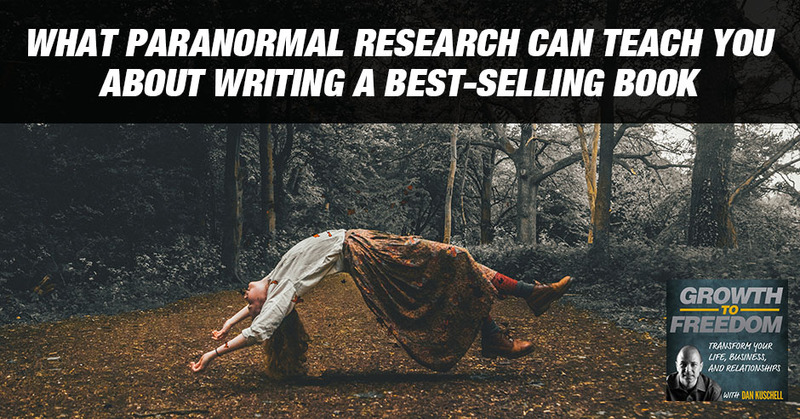 Paranormal Research: The copywriter or the writer should not try to show off his intelligence. It’s one of those hidden things in business is legal issues. It was the lowest point in my career because it came out of left field, totally unexpected. If you cover the bases, go to a lawyer, these things don’t come up. For IP attorneys and for writers, the tagline on it is, “Do as I say, not as I did book.” Let me turn that into a series, more tragedies occur. I’ll build my career on tragedy. You shared a tremendous amount of wisdom already. One of the things you shared with me is that you get to wake up every day and you get to do what you love. You get to do something that you’re passionate about. This may shock you what I’m going to share with you. If you truly pursue a passion, it’s going to take you down the wrong street eventually. There’s a combination of things with passion that’s important. Dan, with your journey of doing what it is that you love and being blessed to do that every day, what advice would you give to somebody in their pursuit of really doing something they love, they enjoy, they get paid doing it, they get paid a lot of money, they get to work with a lot of great people, all those sorts of things. What guidance would you give them to pursue that? What I would say is, “Do as I say, not as I did,” and plan out your career as best you can. I was writing advertising, and someone said, “Can you write a book for us?” I said, “Yes.” One thing led to another. I had no plans at all to develop a career in writing books. I thought I would be doing advertising and corporate video for the rest of my life and it turned out that one little incident, right place, right time, I had developed an entirely new career that I absolutely love. I would advise people who are thinking about this, to sit down and do a lot of thinking about it and do a lot of planning and decide what you want to write, how much time you’re going to devote to writing, what is going to cost you in terms of not only finance, but personally. Writing takes an awful lot of time. Do a cost benefit analysis, “This is what it’s going to take. Am I willing to do that?” The passion will carry you over a lot of the financial hassles or time hassles, but not all of them. Personally, in my observation, is that passion keeps you in the game when time gets tough. You’ve got to have the passion. However, passion alone is not enough because you’ve got to eat. There are a lot of strategic byproducts when you do go for something that you love, that you enjoy. I’m blessed. My wife regularly tells my kids who are twelve and ten, “Your dad is one of the few people I’ve ever met the truly does what he loves, and he would do it for free.” It’s why we put out so many resources like this for free out to the community and business and such because I love to be able to guide and coach and I see that in you and our few conversations that we’ve now had overall. 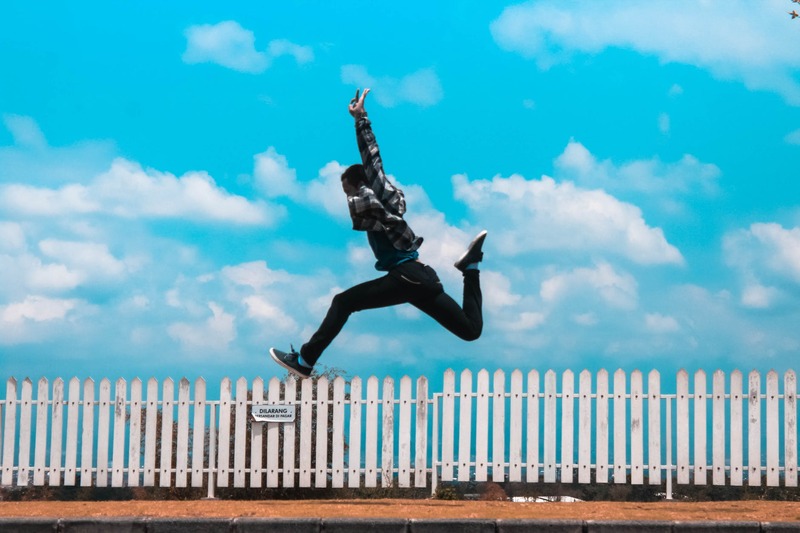 As you’ve worked with so many diverse clients and so many diverse paths and stories and so on, if you were giving guidance to your 30-year old self and you were to say, “Here are three breakthroughs that I would encourage you to follow now,” that maybe you’ve used in the last twelve months or you’ve used with your clients, what would those three breakthroughs be that you would guide your younger self to follow? Assuming you want to be a writer, I would say you have to make the commitment to write every day, X amount. You can have a word-count goal, “I’m going to write so many thousand words a day or an hourly goal,” which is what I use. Two develop a plan. How can I get from where I am to where I want to be? Beyond that, get out there and let people know what you can do. You’ve got to promote yourself. Talk a little bit more about promoting yourself. What are some things that you would recommend in promoting yourself as a publisher, an author, an expert? The best thing you can do is use social media that everybody is using. I got to promote my books on Facebook and Pinterest and some of the other areas. Also, I get out there, I’ll make presentations to clubs and organizations. The paranormal book that we do also involves a lot of history so I can go to a history club and talk about the haunted history of tombstone, the haunted history of Gleeson, Arizona, the haunted history of someplace in New Mexico. I can sell my books there and I get the word out. I make presentations at libraries. I have friends who are willing to promote my books on their own, they say, “I read Dan’s latest book. It’s really good. I highly recommend that.” You pull every string that you possibly can. Every once in a while, one of them will snag in and you’ll hit a homerun. Dan, you’ve shared some great wisdom. I want to give our audience a chance to learn more about you, some of the great resources you might have available, some of the work that you’ve done for them to learn more. Where can people go to learn more about you and your work? They can contact me directly through my email address if they want. It’s Baldco@MSN.com or they can go to one of my websites, www.FourKnightsPress.com. I post a writing tip on whatever strikes my fancy at that particular moment. It might be a novel writing, it might be fiction writing, it might be advertising, it might be philosophy of writing, it might be do’s and don’ts but there’s always something new to learn. You have to make the commitment to write every day, X amount. 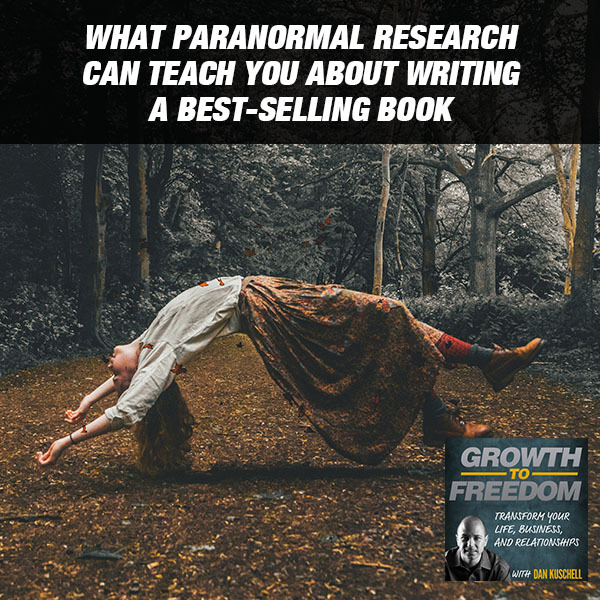 Dan, I want to dive into this somewhat controversial, non-business type topic and that’s the paranormal concept. You have such a diverse, broad range of work in this area that I just can’t help but ask you a few basic questions about this. Like crossing over, there’s this idea that people can crossover and you can crossover while you’re living, and you can crossover while you’re dead. I also know that some people that might be fundamentalists are going to go, “You’re talking about paranormal and it goes against my religious belief.” I want to smash that and take this in as a perspective. It’s not a true or false, or an absolute, it’s just for you to get a different perspective of what could be. What if there was a way living or past that you were able to have ultimate forgiveness of you and/or others. I’m giving you my layman’s understanding, the idea of crossing over, if you’re looking to cross over, it’s almost like a forgiveness passage of your past. It’s being able to come back and look back and forgive some of the things that you’ve done. Speak to the idea of crossing over and what you’ve seen, maybe one story that you think could help give some insight to our audience. My book with Dwight and Rhonda Hull addresses that exact situation. One of the stories we write in there is a true story. It was documented on a video and there were about 30 people who witnessed it. We were at a place in Tombstone. Quite unexpectedly, this was totally unplanned, we encountered the spirit of a murderer who was afraid to crossover because he knew that bad things are going to happen to him. We discovered shortly thereafter that the man he had murdered, this is back in the 1890s, had crossed over and had come back to tell him, “I forgive you. It’s okay. You don’t need to stay here. You’re in a bad place. You need to cross over, all is forgiven and come across.” You had me and Dwight and Rhonda and the spirit of the murder victim working to help the murderer cross over. There came a moment when I was working my pendulum and I said, “He’s gone.” I swear, instantly there was not a dry eye in the house. You had 30 people weeping. You could feel it. It was palpable. You can’t make up stuff like that. You said you had video of some of this. Would people be able to find this video or any of the footage on your site on YouTube or where could people do that? It’s www.BeelieveParanormal.com. That’s the website for Dwight and Rhonda. That’s the website for this book. If you read a chapter and we have captured the sound of a spirit talking to us, there’s a link in that chapter where you can log into your computer and you can hear that spirit voice. It’s fascinating to think about what other options are there as well as what it can do for somebody to completely release in forgiveness and love and joy and spirit. It can be emotional and impactful. Dan, as I think about it also from a layman’s term, I think of the movie Ghost. I think of Demi Moore and I think of Patrick Swayze coming through her and then there were many segments in the movie, but the other big one in my mind was when they’re all sitting around and then their loved ones are talking through them with different things. You’ve experienced this in real life so it seems that you have some of this captured at www.BeelieveParanormal.com for people to experience and judge for yourself. Whether you believe in it, whether you don’t believe in it, it will give you a fascinating perspective. For you, Dan, what has been the most fascinating thing that you’ve learned as a result of all this work in paranormal? The church that I grew up in and the church many of your audience are probably working with are familiar with the term, “there are many rooms in my mansion.” What we have discovered is that there are many options once you cross over. Those rooms are options. Once you cross over, it’s not an automatic matter of you get your pitchfork or you get your wings, you have options as to what you want to do and we have discovered some of those options like many of the people who cross over have decided to cross back over. Some come over to help others crossover. We encountered the spirit of a man who had died in the Pacific in World War II. He was a Marine, died on Saipan or Iwo Jima, one of those islands. When he died, he crossed over and he came back to the ranch we were investigating to the night he was married. Every day, he lives the happiest day of his life. He and his wife are getting married, there’s a big party going on, the band is playing, his friends are dancing, blue collar ranch family, and he’s just having a ball and he came back there because that’s where he was happy. It was a touching story. Paranormal Research: Take your heart, throw it over the wall and jump after it. If you want to learn more, I encourage you to go check out www.BeelieveParanormal.com. Go check out FourKnightsPress.com. Check out what Dan’s up to. 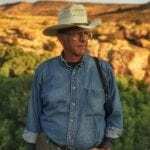 Get the book by the way, Speaking with Spirits of the Old Southwest with Dwight and Rhonda Hull. It will give you a whole new perspective. I have to say, Dan, this is one of the most fascinating conversations I’ve had on this show. I love bringing in unique perspectives and experts and I’m just grateful that we got a chance to meet and connect and spend this time together. One last thing, Dan, what would you from our time now, what would be one to three action steps that you hope that everyone would take as a result of what we’ve shared with them? That is awesome, Dan. I want to thank you for being a part of our show. I want to encourage you to take action with what Dan has been sharing with me. He shared a lot of incredible wisdom from his lucky break to transforming that into a career that feeds his soul every single day. He gets to meet and work with fascinating people. If you want to go deeper with what Dan’s been sharing with, what I encourage you to do, go check out FourKnightsPress.com, checkout www.BeelieveParanormal.com, feel free to email Dan at Baldco@MSN.com. I CAN’T Be A Psychic Detective. BEST BOOK AWARDS: Bock’s Canyon (Western) and How Find Me Lost Me (non-fiction business). NEW MEXICO-ARIZONA BOOK COMPETITION FINALIST: How Find Me Lost Me, Sparky and the King (political thriller) They Are Not Yet Lost (psychic detecting), Bock’s Canyon. Baldwin self-publishes through Four Knights Press. Who Still Roam Ghost Towns published by Lewellyn Worldwide – release date May 8, 2018.